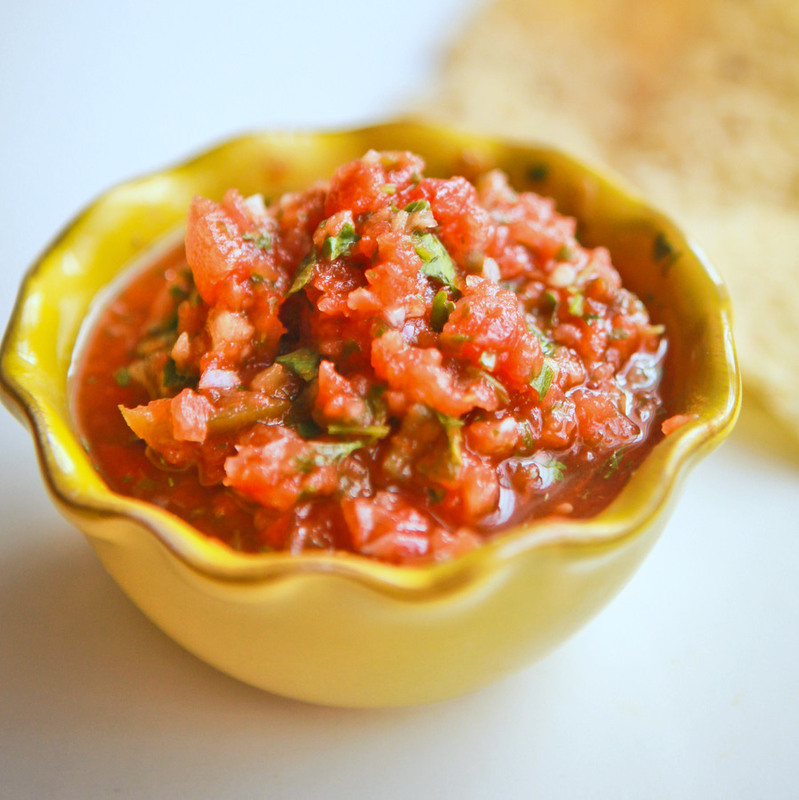 This salsa came out of necessity. When we first lived in the middle east years ago our closest “mexican” restaurant was in another country, so I had to figure out a good recipe. 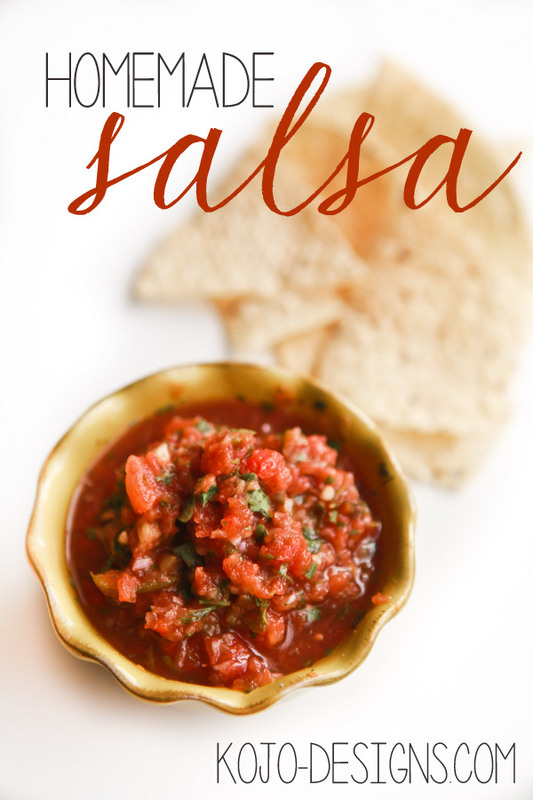 Fast forward a couple years to us living back in Texas with plentiful mexican food, and I realized I still preferred this salsa to most others (I think because it’s the perfect mix of spice and freshness with the perfect consistency). 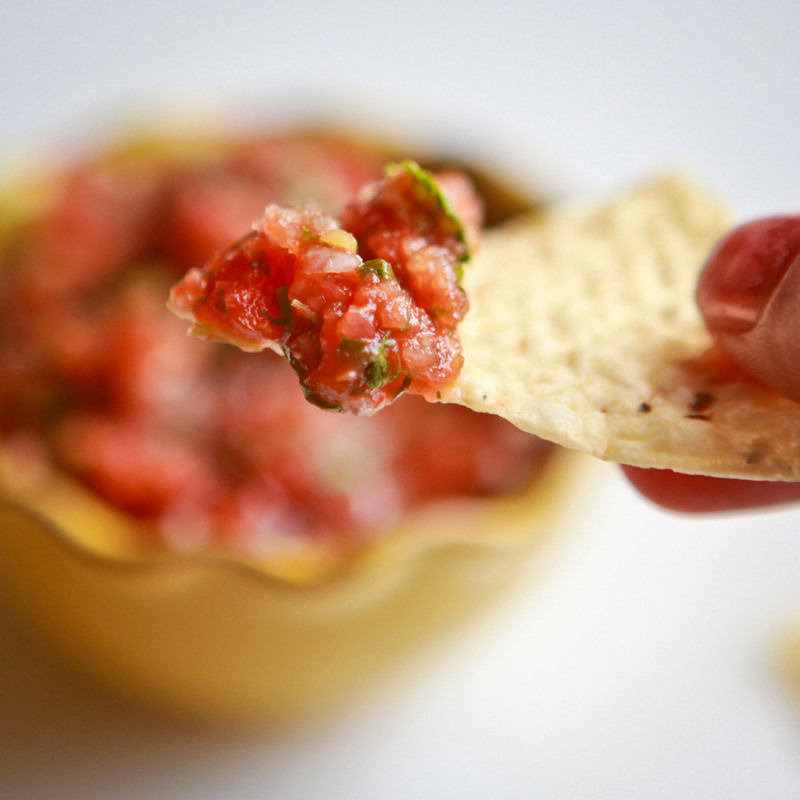 It’s our go-to salsa- we always have a batch in the fridge, and its perfect on just about everything. Turn broiler on to high and broil 2 jalepenos until they are charred. Dice finely and set aside. Roughly chop the first four ingredients. Put the onion, garlic and the fresh jalepeno in a food processor and pulse until the onion is finely diced. Add the cilantro and pulse until the cilantro is fine. Add lime juice, rotel and tomatoes. Pulse a couple seconds until combined (For smoother salsa pulse a few more seconds) Add the broiled jalepenos one teaspoon at a time until the preferred spice level is achieved. Season with garlic salt. Serve with chips. Store in an airtight container in the fridge.